We’re lucky to have so many quaint, trendy markets in Noosa. These markets are a great place to experience local cuisine and culture as well as find fresh-grown fruits, vegetables, and meats. The Eumundi markets, though they are not open every day of the week, are worth visiting if you can. 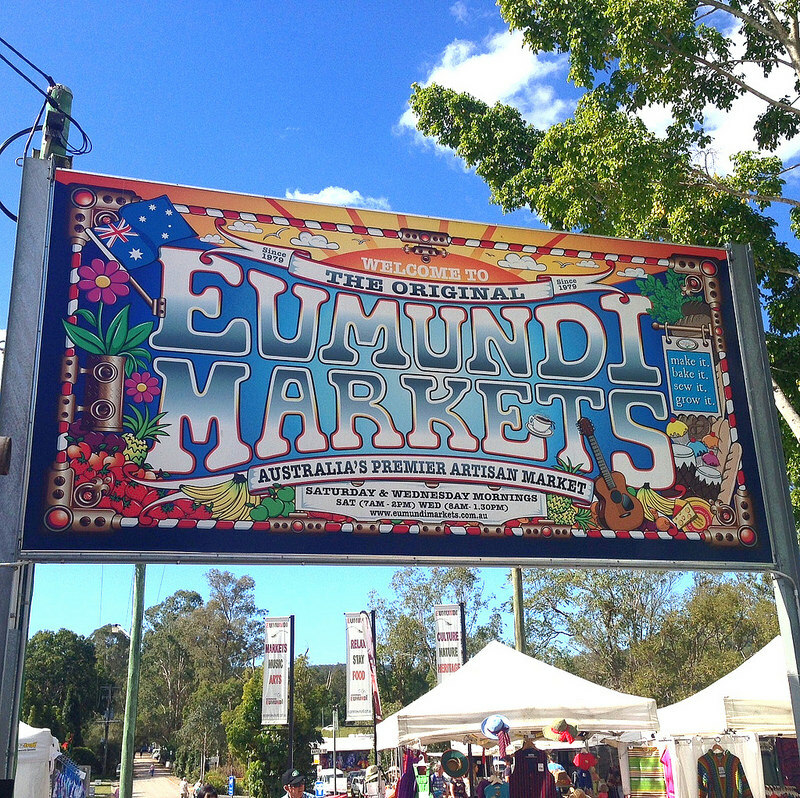 Since 1979, the Eumundi markets have grown from just a few artisan stalls to over 600 artisan stalls today with artisans selling all sorts of wares. You will be able to find a variety of locally made arts and crafts, jewelry, clothing and accessories, and so much more. On Wednesdays and Saturdays, rain or shine, you’ll be able to browse all the different products that locals have to offer, including foods. You’ll even be able to watch some live entertainment on most Saturdays. The Noosa Marina is where you will find shopping and dining on the waterfront, as well as other recreational activities, some even on the water. While you may not find an overwhelming amount of shops here, the ones you will find sell a variety of gorgeous wares, including beautiful collectibles that will be hard to resist. Dining includes several different cafes and wine bars and a wonderful pizzeria, as well as several other options. On the water, you can go for a sunset cruise down the Noosa River, ride the ferry for the day, or visit the local art, craft, and produce market on Sundays from 8 am to 2 pm. This is a place where you will find locally-grown seasonal produce every Sunday. The Noosa Farmers Market believes in creating healthy and sustainable produce from farmers and growers around the region, so when you shop here, you are supporting local businesses. Some market stalls carry wholly organic goods while others sell fresh-squeezed juices, homemade health care and skin care products, freshly baked goods, and homemade marinades and sauces. You can also find freshly caught seafood and farm fresh vegetables. Cheese connoisseurs can find a variety of cheeses for any palate, and those with food sensitivities can find homemade gluten-free and other food-sensitive baked goods. Several coffee producers can also be found here. Regardless of where your accommodation in Noosa is – you’ll be close to some of the best markets in Noosa.